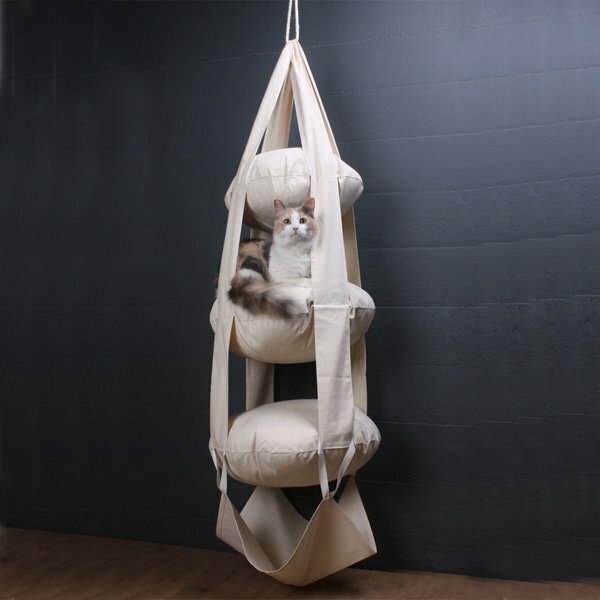 Keep your indoor kitties in a playful mood and drive their attention away from curtains and furniture with this Cat’s Trapeze Hammock. It’s in a feline’s nature to climb on every other thing they come across and that’s why this unique suspended design can surely be put to good use if you’ve got a cat loitering indoors. The hammock has been made of sturdy cotton fabric you can either buy with 3 pillows or provide the inner pillows for stuffing yourself. 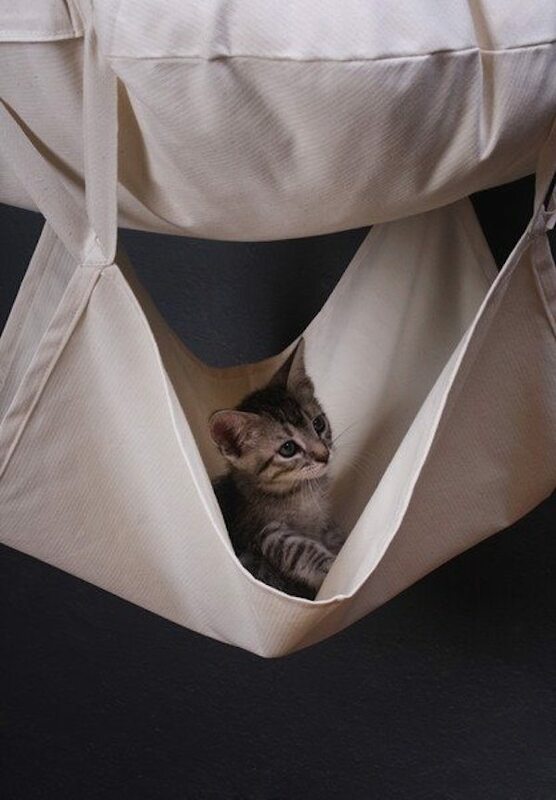 There’s a bonus cotton hammock attached under the bottom pillow for your kitty to enjoy some extra nap hours time and again. You can also bind the trapeze straps together using the small piece of sisal rope and hang it from a mounting hardware. Perfect place for your little kitties to sleep comfortably at night as well as play around during the day.